Norcross, GA (March 14, 2011) – Divots Sportswear, the oldest private golf apparel company in the country (www.divots.com), has entered into a strategic partnership with the Georgia State Golf Association, making Divots the Official Apparel Partner of the GSGA, according to company president Bob Friedman. 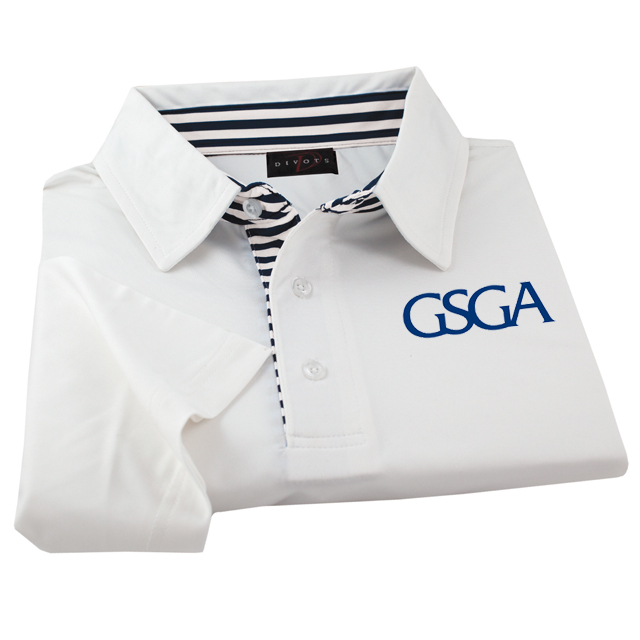 As the GSGA’s exclusive apparel partner for 2011, Divots will provide the GSGA staff and team competition participants with a varied selection of golf shirts and outerwear embroidered with the GSGA logo. Additionally, the GSGA will purchase apparel from Divots at a discounted retail-rate for the over 300 volunteers that annually support the many services and activities that the Association performs in Georgia. Celebrating its 35th anniversary in the golf business this year, Atlanta-based Divots has been supplying golf apparel and accessories to hundreds of GSGA member clubs since the company’s inception in 1976. It also has been an apparel provider for myriad tour events and major golf championships contested in Georgia.